QDX series submersible pump is composed of three parts: pump body, mechanical seal and single-phase asynchronous motor. The pump body is installed at the upside, the centrifugal type of the impeller. The single-phase asynchronous motor is installed at the downside. Double sides between pump and motor are sealed with mechanical seal, which is O-type oil resistant rubber asstationary seal. 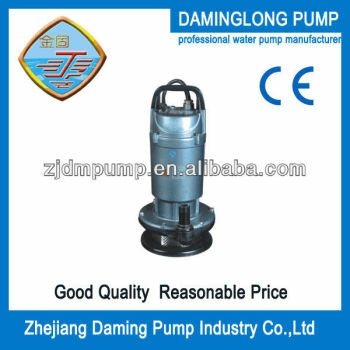 Zhejiang Daming Pump Industry Co., Ltd.